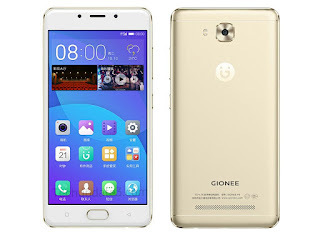 Gionee has launched company's latest smartphone Gionee F5 in F series in China. It comes with a 5.3-inch HD Display powered by 1.5GHz Octa-Core processor coupled with 4GB of RAM and 32GB of internal storage which is further expandable up to 128GB. On camera, it has a 13 Megapixel rear camera with LED Flash and 8 Megapixel front facing camera. The camera app offers Night, Panorama, HDR, delay photography, slow motion photography, business card scanning features. The device runs on Android 6.0 with Amigo UI. It comes with Metal body and has a Fingerprint Scanner on the front similar to other Gionee Phones.Gionee F5 measures 150 x 74.5 x 7.7 mm and weighs 162 grams packed with a 4000mAh battery.